The northern lights -- more properly known as the aurora borealis -- occur in the Earth's upper atmosphere near the North Pole. In the Western Hemisphere, the best places to see them are in Alaska, northern Canada and Greenland, but they are occasionally visible much farther south, depending on solar activity. When conditions are favorable, you can see them by finding a place with a clear view of a cloudless sky and looking north. Suspected since the 1880s, the connection between the northern lights and activity on the sun's surface was confirmed in the 1950s. The intense heat of the sun strips hydrogen atoms into their component protons and electrons, and these charged particles flow constantly toward Earth on the solar wind. When they reach Earth, they follow the lines of the planet's magnetic field and collect at the poles, where they interact with atmospheric oxygen and nitrogen to produce an electric light show. This happens at both poles; the southern lights are known as the aurora australis. The sun's surface activity isn't constant. Occasionally, disturbances such as flares, coronal mass ejections and coronal holes shoot out swarms or particles at speeds in the neighborhood of 1,000 kilometers per second (620 miles per second). When these high-energy particles reach Earth, the aurora grows in intensity and expands southward. Astronomers keep instruments trained on the sun to monitor its activity, and the National Oceanographic and Atmospheric Administration publishes a live streaming tool called Ovation that you can use to determine whether or not the aurora is likely to be visible in your area in the near future. 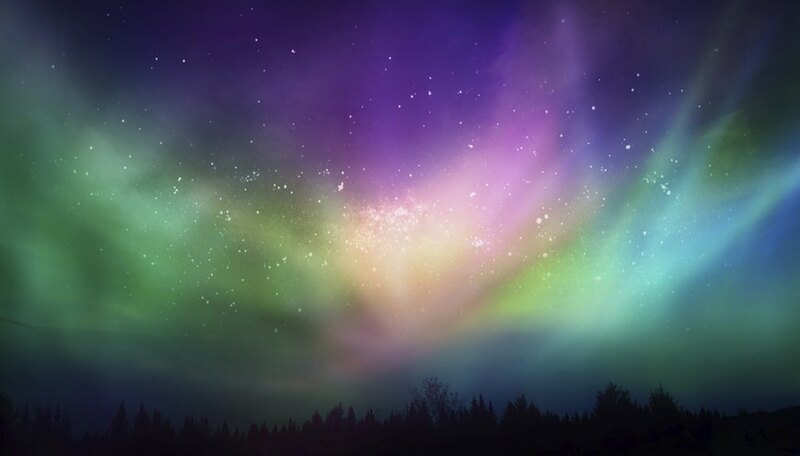 The northern lights are centered around the Earth's magnetic pole -- not its geographical one. Because the magnetic pole is on the North American side of the geographical pole, the northern lights are visible at points farther south in North America than in Europe or Asia. During periods of intense solar activity, they can be seen as far south as New Orleans. If the NOAA Ovation tool predicts visibility for your area and conditions are clear and the sky is dark, find a vantage point with a clear vista stretching to the north. Face north and look up to see the ghostly, greenish, shape-shifting light display. Solar activity peaks every 11 years, and you may not want to wait for the next peak period to see the northern lights. If not, you'll probably have to travel north. Small communities in Alaska and Canada's Yukon, Northwest Territories and Nunavut, where the sky is free of light pollution, are ideal viewing locations. The best time of year to see the aurora is in winter, when the nights are long and dark, and the best time of day is at local midnight. 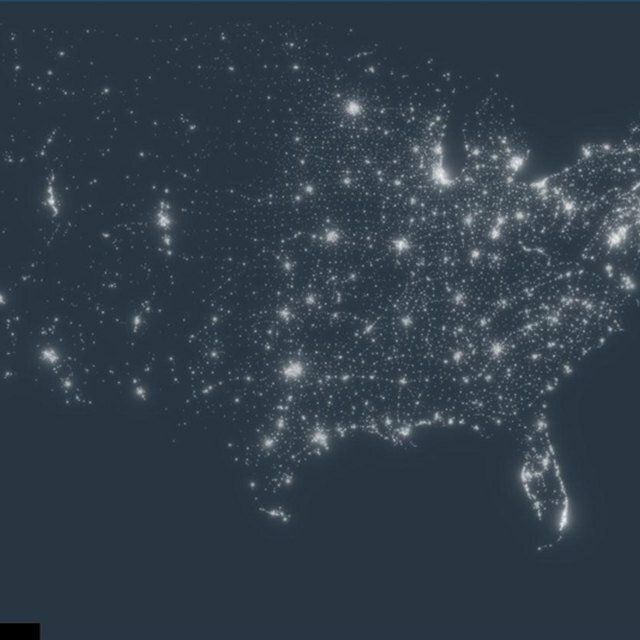 In the continental United States, you have the best chance of viewing the northern lights if you travel to northern Maine, Minnesota, North Dakota, Montana, Idaho or Washington. What Is the Bright Light in the Evening Western Sky? How Does Latitude Affect Climate? Why Are Days Longer and Shorter? Deziel, Chris. "How to See the Northern Lights." Sciencing, https://sciencing.com/see-northern-lights-2044655.html. 24 April 2017.